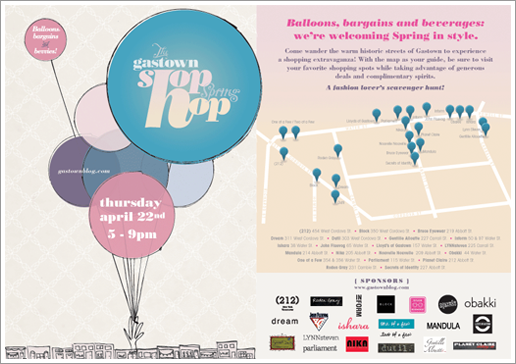 For the locals, if you are in the shopping mood, get out and shop hop in the lovely Gastown. You can support local designers like Obakki. For those non locals, I’d love to know the great shops in your city.